The Yin-Yang theory is crucial to understanding the meridians. Everything within the body – and the meridian system – is dualistic. Each meridian, for example, consist of two parts. The outer part operates at the surface of the skin to collect energy. This is considered a yang function. The inner part serves the internal organs by transporting energy to an organ or body system site. This is a yin process. The major meridians are subdivided into yin and yang groups. Yang energy governs the Governor vessel and the yin the Conception vessel. Meridians are also classified as excitatory (yang) or inhibitory (yin) according to the polarity of the chi they manage. The organs connected to yin meridians are also considered yin, or inhibitory, and the organs connected to yang meridians are considered yang, or excitatory. All meridians are paired, or have a polar opposite. Polar meridians are twelve hours apart in the twenty-four hour cycle. These paired meridians are similar in some ways, but contrast in others. Yin-Yang theory proposes that there are two basic types of forces. These are opposing and yet mutually interdependent. When combined, yin and yang energies create a unified, supreme energy – the one that originated the universe and continue to flow throughout it. Yang is the male, excitatory energy. It is dynamic, stimulating, and logical. It creates height and represents the sky and heavens. In the Chinese model, it is considered hot, or able to produce heat. considered cool, or able to produce coolness. Yin and Yang characterize two different types of chi. There are also yin versus yang meridians and organs. If these become out of balance, serious health issues can arise. Too much heat, for example, underlies pain and inflammation. Too much cold causes stagnation and blockage. Because yin and yang are relative to each other, there is always a relationship fostering the “other” condition. For example, we can only understand heat if there is cold. This balance is achieved by a check and balance of control. Yin can lead to yang and yang can lead to yin. One flows into the other and then returns. 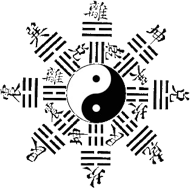 In the Chinese system, all of life is a cycling of yin and yang, including the seasons, which continually exchange yin (winter) for yang (summer), with the seasons in between for balance. At its peak, one extreme often gives rise to the other. This mirrors the way our bodies flow from one extreme to the other, in a constant ebb and flow of yin and yang. Every part of the body is mirrored by something else in – or outside – the body. This viewpoint has generated an amazingly profound – and complicated – medical system. All traditional Chinese modalities essentially reduce to a single process: assessment of the chi through the meridians.